Success! 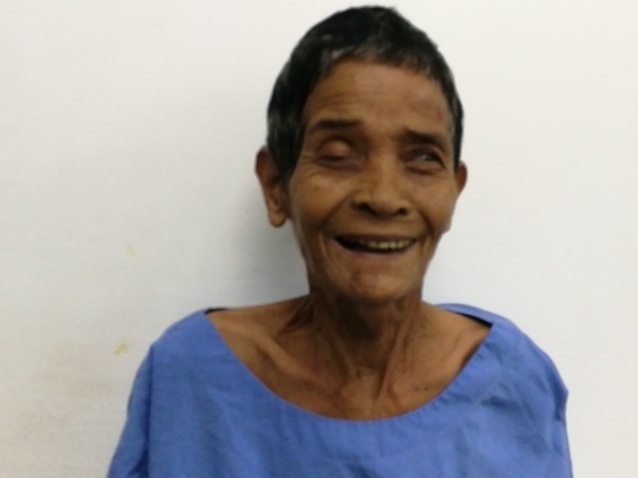 Nov from Cambodia raised $398 to fund cataract surgery. Nov's treatment was fully funded on November 18, 2018. Nov has returned home after a successful operation. As per her doctor’s instructions, she had one eye done, and will need to return in a few weeks to have surgery on the other eye. Surgery will allow her to work and go about her daily life with improved vision. Her doctor looks forward to seeing her again in a couple weeks. Nov is a rice farmer from Cambodia. She has a son, six daughters, and twenty grandchildren. She likes to listen to monks pray on the radio. 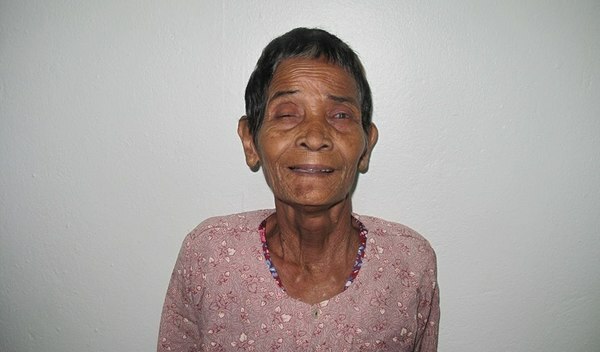 Four years ago, Nov developed a cataract in each eye, causing her blurred vision, photophobia, and tearing. She has difficulty seeing things clearly, recognizing faces, and going anywhere outside. When Nov learned about our medical partner, Children’s Surgical Centre, she traveled for four hours seeking treatment. On October 2, doctors will perform a phacoemulsification surgery and an intraocular lens implant in each eye. After recovery, she will be able to see clearly. Now, she needs help to fund this $398 procedure. Nov's case was submitted by Lindsay Bownik at Children's Surgical Centre in Cambodia. Nov was submitted by Lindsay Bownik, Stakeholder Relations Officer at Children's Surgical Centre, our medical partner in Cambodia. Nov received treatment at Kien Khleang National Rehabilitation Centre. Medical partners often provide care to patients accepted by Watsi before those patients are fully funded, operating under the guarantee that the cost of care will be paid for by donors. 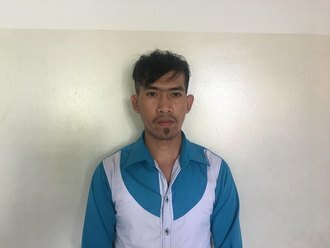 Nov's profile was published to start raising funds. Nov's treatment was successful. Read the update. Nov's treatment was fully funded. 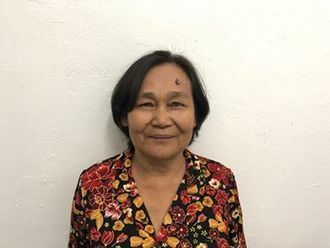 Im is a 71-year-old grocery seller from Cambodia. In her free time, she enjoys listening to the monks pray on the radio. One year ago, Im developed a cataract in each eye, causing her blurry vision, itchiness, tearing, photophobia. She has difficulty seeing things clearly, recognizing faces, and going anywhere outside. When Im learned about our medical partner, Children's Surgical Centre, she traveled for six hours seeking treatment. On February 26, doctors will perform a phacoemulsification surgery and an intraocular lens implant in each eye. After recovery, she will be able to see clearly. Now, she needs help to fund this $398 procedure. She says, "I hope my eye surgery is successful so that I am able to see everything and recognize faces. I also hope that I am able to help my family around the house with cooking and take care my grandchildren."